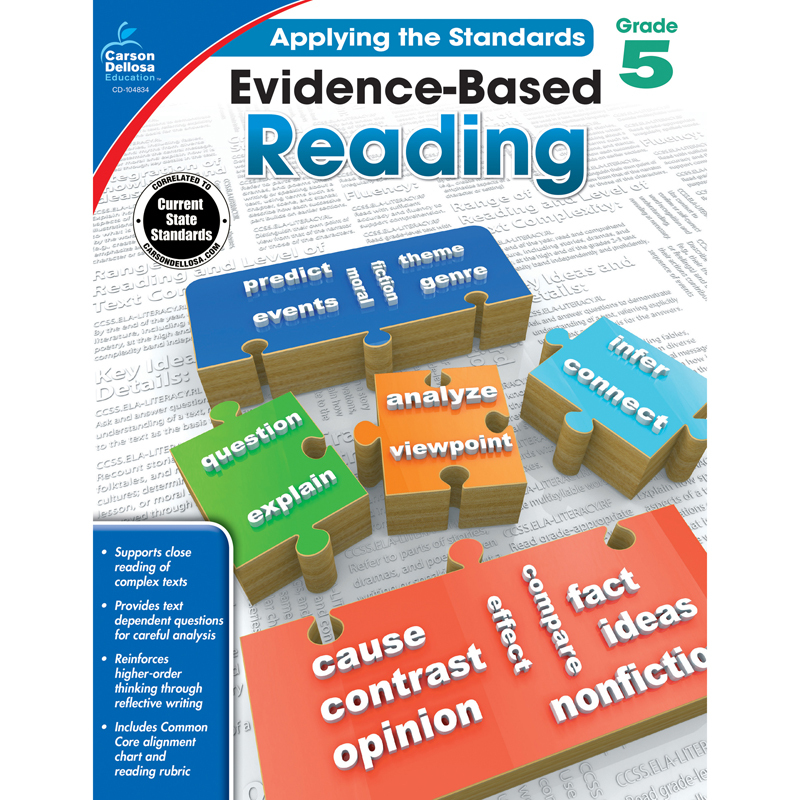 Evidence-Based Reading for grade 5 offers 64 pages of reading practice. It is aligned with current state standards and includes a reading comprehension rubric, a standards alignment chart, and pages of reading passages with evidence-based questions to encourage higher-level thinking and thoughtful answers. Each question is designed so that students learn to support their answers with evidence from the text. A variety of literature and informational passages are included to engage learners in a range of texts. The Applying the Standards: Evidence-Based Reading series emphasizes close reading by requiring students to answer text-dependent questions in both literary and informational texts. This is a series of six 64-page books for students in kindergarten to grade 5. Various reading and vocabulary skills are covered, and a culminating reflection question for each passage engages students' higher-level thinking skills. Of particular emphasis throughout the series are current state standards and the teaching of evidence-based reading.